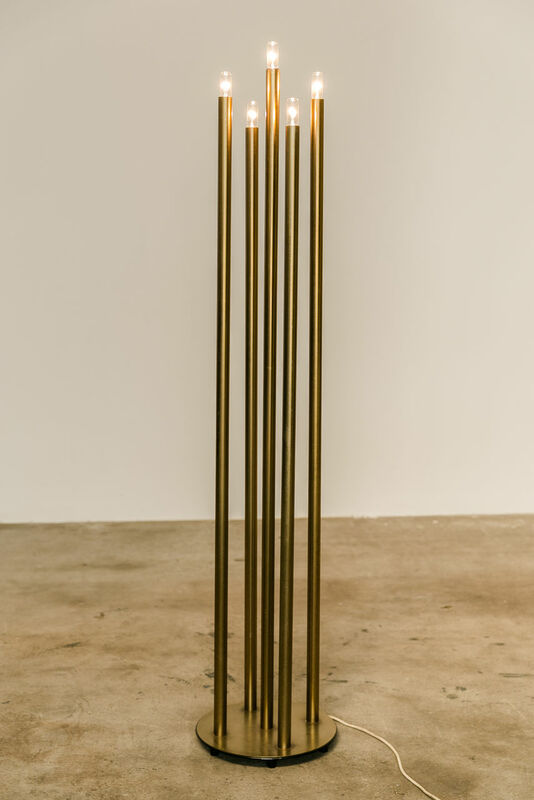 Reggiani Brass pipe lamp, Circa 1970 Italy | Castorina & Co. 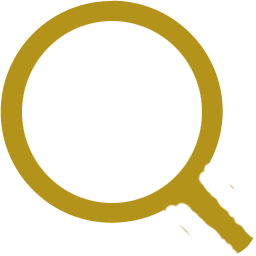 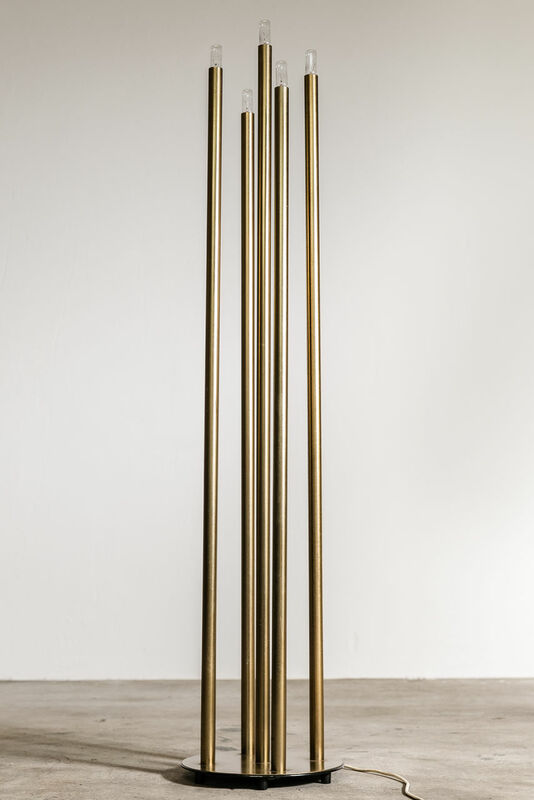 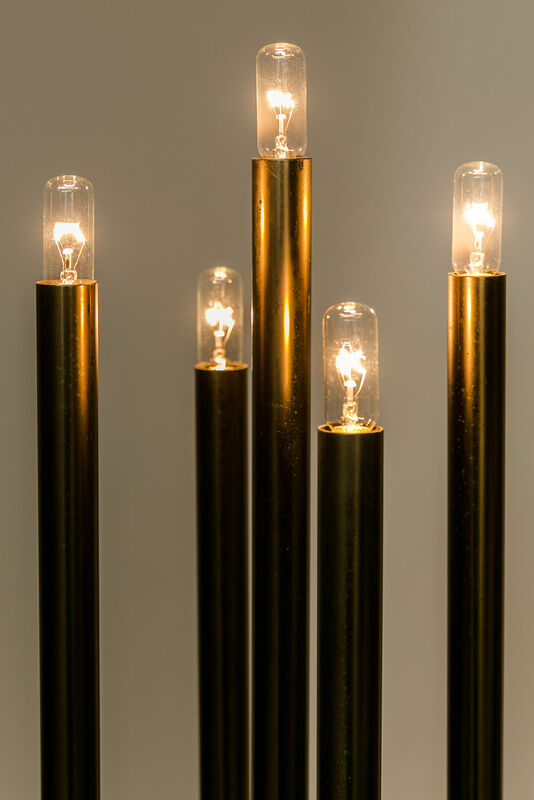 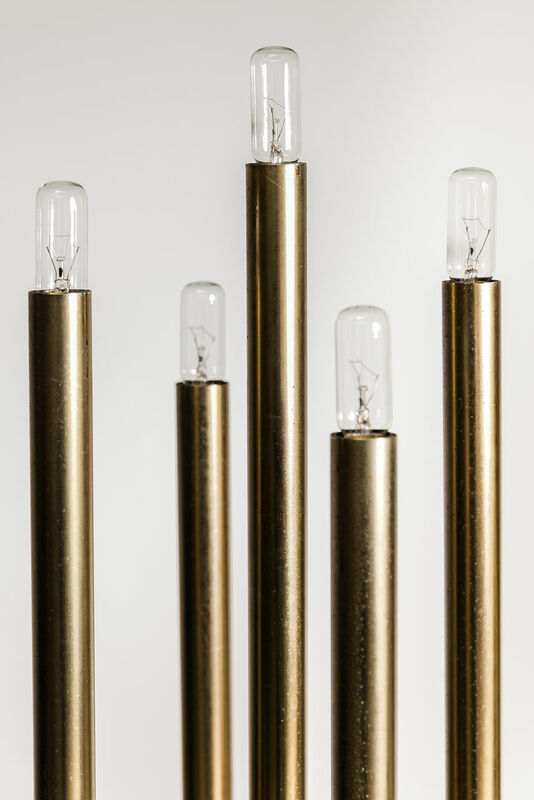 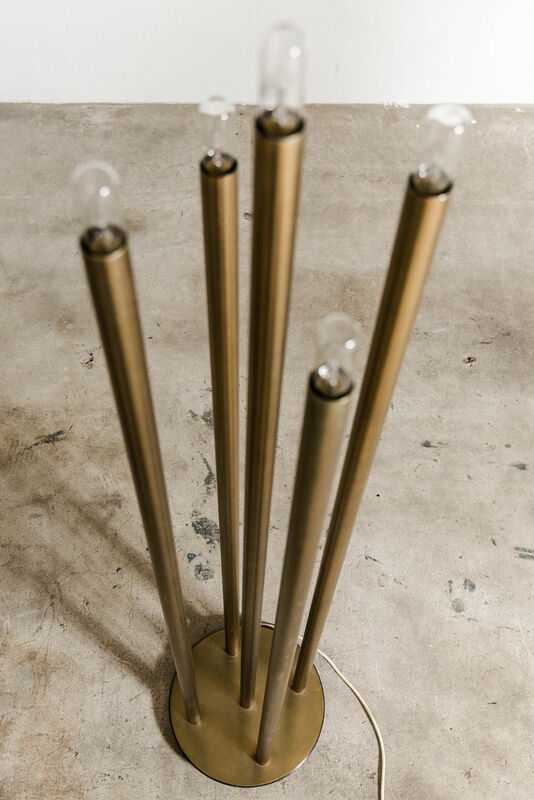 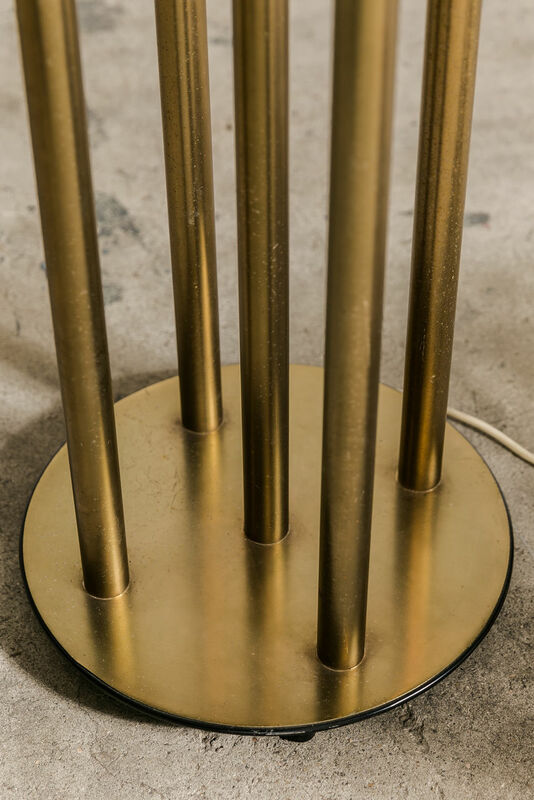 Architectural brass tubular floor lamp with an array of ascending/descending tubular lights from a round brass plinth. 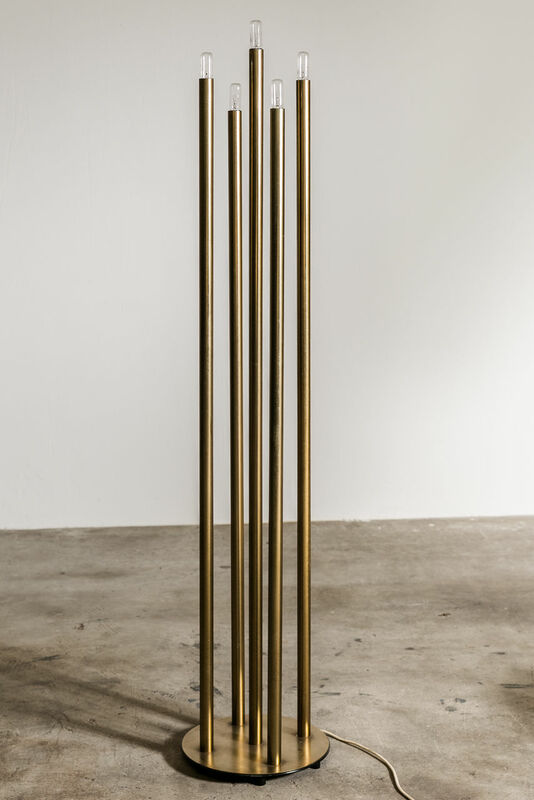 Reggiani, Circa 1970 Italy.